Noelle Peplowski sits with her family after signing her National Letter of Intent to swim at Indiana University. (L to R; back row): Leslie, Anna, and Doug. (L to R; front row): Ella, Noelle, and Ava. Metamora, IL - There were athletic signings all over the country Friday, and Metamora High School was in that mix. 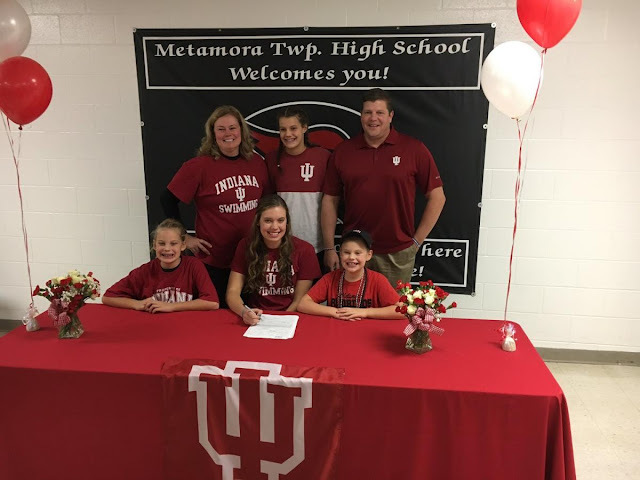 Noelle Peplowski signed her National Letter of Intent to swim at Indiana University. Shortly after signing the letter, Peplowski talked about what stood out about the Hoosiers' program. "Everything. When I went to the school and visited the first time, it was beautiful and I fell in love with it." Peplowski's decision also had to do with the quality of a program that Indiana has. "The coaches are amazing and they have developed a powerhouse program. It's an honor to be able to swim there." Metamora Head Coach Shane Morrison thinks that this is an excellent step for his program. 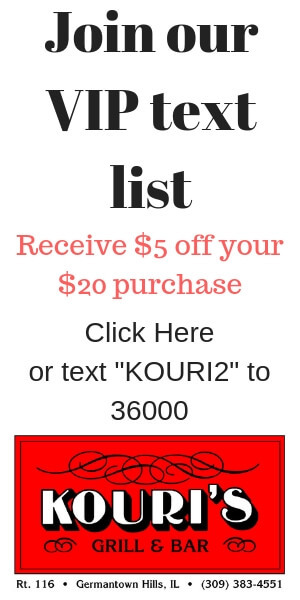 "It just shows the work that not only Noelle, but my program has put in. Especially without even having our own pool, having to go borrow someone else's pool every year." Morrison also thinks that Peplowski will be a great addition for the Hoosiers. She's a very versatile swimmer. She can really even do the distance and mid-distance. She brings a lot of variety to the program. Peplowski not only agrees with Coach Morrison but also added a goal of hers. "I hope I can bring a lot. I want to make NCAA's and bring as much to the team as I can." Peplowski's major is undecided at this point. Metamora will have two more athletes signing in the coming weeks, Amanda Greening (Parkland College - Volleyball) and Logan Hadfield (Illinois Central College - Baseball). More details on those signings when they become available.